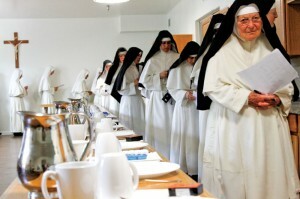 What follows is a general listing of various religious orders who admitted new members, professed vows and/or ordained. The purpose is to show how the Lord is working (or not) in many of the communities. Some communities are clearly alive and living the charism of their religious group; and it is equally clear that some groups are dying. Brian Fitzgerald’s 2014 essay, “Teaching by Word and Example: St Norbert of Xanten”(Crisis Magazine online) gives an insightful glimpse into a man we in the USA don’t know too much about but who continues to impact the way we live our common Catholic faith in communio. 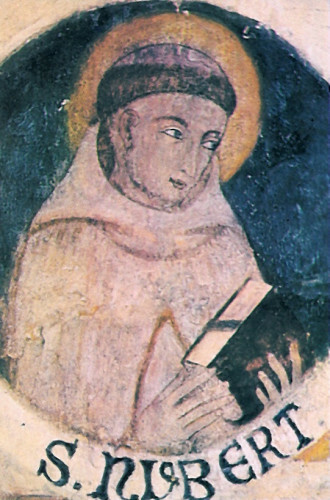 In some ways, the 11th century Norbert was a new “St Paul.” His contemporary Saint Bernard of Clairvaulx called Norbert “heavenly water pipe” yet no word of his survives these centuries. Norbert founded a community of canons who followed the Rule of St Augustine which adhered to the idea: “docere verbo et exemplo” (to teach by word and example). 4. the Christian faith makes sense only in the communal aspect. Saint Norbert, pray for us. This past summer –so this is old news for some– the Sisters of the Mountain, the Norbertine Canonesses, established the first monastery for women in the USA. The Norbertine vocation is different from being a Dominican, Augustinian or Benedictine. The new monastery, The Bethlehem Priory of St Joseph, is located in Tehachapi, California. A life of seclusion, separated from the outside world, opens the door to do the Lord’s work of prayer and sacrifice for the salvation of souls. 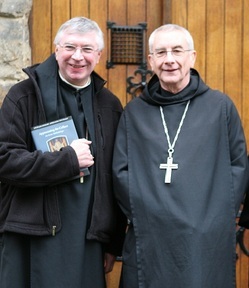 A print article on the monastery blessing is covered here. Why is this important? It’s not. At least it is not important on the secular level. 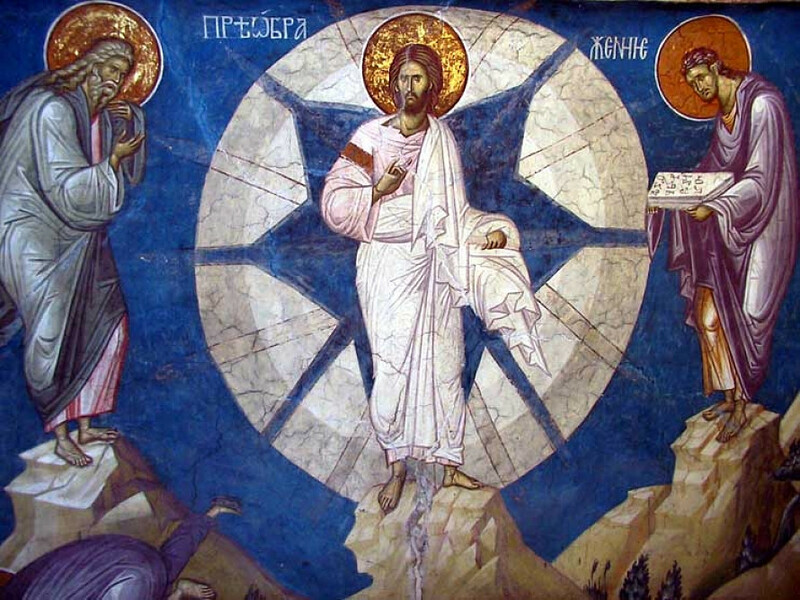 But, on the supernatural level, the new monastery’s creation and blessing is sign of God’s Providence and humanity’s response. On this level, a monastery is a place of healing, spiritual and intellectual growth, it is a place to do spiritual battle. The monastic presence is a sign for all Christians of the building of the Kingdom of God on earth so that we may enjoy God in heaven. May God grant success to the work of their hands. May the Holy Theotokos, St Joseph and St Norbert protect. Lamb of God, Who takes away the sins of the world, have mercy on us. R. But deliver us from evil. R. And also with you. 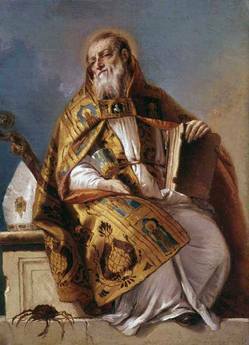 O God, Who did make of Blessed Norbert, Thy Confessor and Bishop, an excellent preacher of the Word, and by his means did enrich Thy Church with new offspring, grant, we beseech Thee, that through his intercession we may put in practice by Thy grace what he taught us, both in word and work. Awake, O Lord, in Thy Church the Spirit by Whom St. Norbert, Thy Confessor and Bishop was guided, in order that, filled with the same spirit, we may love what he loved and live as he taught us. O Lord, grant to us Thy servant’s constancy in Thy faith and service, that, rooted in Divine charity, we may not be conquered by any temptation. Through Christ Our Lord. Amen. Praised be the Blessed Sacrament of the Altar and the Immaculate Conception of the Blessed Virgin Mary. Praying for the abbot in the Eucharistic Prayer at Mass? Frequently do I go to places where certain liturgical practices catch my attention because of the novelty of what is said and heard. We always need a deeper understanding, a profound appreciation for the prayer of the Church as expressed in the sacred Liturgy. Some will say that canon law, particularly liturgical law, is the bad side of the Good News. As Catholics we are part of a Church; as Catholics we are not independent of sacred Scripture, sacred Tradition and the sacred Magisterium; as Catholics we follow a guided companionship on a journey to a deeper communio with the Triune God. We are not Marlboro people; we are, in fact, sheep in flock called to the Holy Synaxis, to the holy in-gathering of a people in Christ, or simply, Church. We have a good shepherd in Jesus and in His successors, that is, the bishops, and we follow the teaching authority of the Christ and His vicars. This is a long introduction to a question as whether or not priests of monastic communities ought to name the abbot in the Eucharistic Prayer. There seems to be some confusion over this seemingly small, trite matter. It is not small, and it is not trite. We have an ecclesiology, and we have a liturgical practice that ought to be followed because we live our Catholic lives in communion with others. 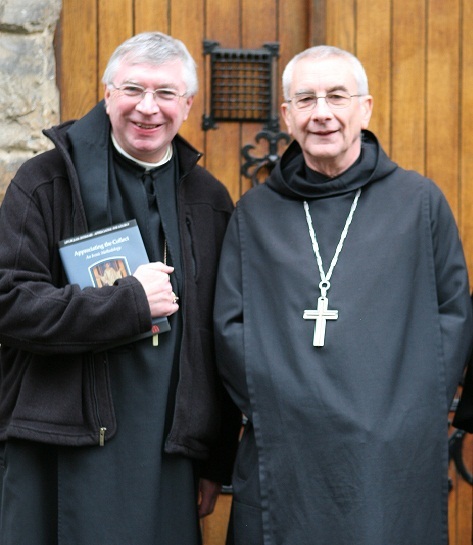 Abbots are minor prelates; they exercise their pastoral authority and power in their monastic community and not in a diocese, and by extension to the dependent priories. An abbot ought not employ the attitude of having a mitre and a crosier so that you can do whatever you’d like, whenever you’d like, etc. Can a priest commemorate Abbot X (or even the abbess if in the context of a woman’s monastery) along with the pope and the bishop in the Eucharistic Prayer at Mass? The General Instruction of the Roman Missal gives four titles that may be named in the Eucharistic Prayer: “The Diocesan Bishop, or one who is equivalent to the Diocesan Bishop in law, must be mentioned by means of this formula: together with your servant N., our Pope, and N., our Bishop (or Vicar, Prelate, Prefect, Abbot)” (no. 149). Each of these offices are “equivalent to the Diocesan Bishop in law” by virtue of their appointment to act on behalf of the Supreme Pontiff within a particular area.